Get lost into the midst of a twisted murder, trying to decipher clues and signs to unravel the secrets of an unsolved mystery. 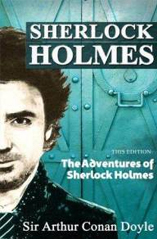 Read about the intuitive Sherlock Holmes as he picks up the slightest details at the scene of a crime and follow his quest to crack all of the cryptic, bizarre and violent detective cases. Download these types of mystery books for free on Freebooks.com. Mystery books are a genre of fiction with a main narrative as either a detective or similar role in which they solve crime or a series of crime. These characters can be a private investigator, a group of punk kids, a policeman, a widow, or a young girl, all with a personal motive pushing them to solve the crime as opposed to something rather material, such as money or other possessions. Mystery novel subgenres are defined as cozies and hard-boiled detective stories. Cozies are a subgenre under Mystery novels which are generally set in English country houses, villages, or other non-threatening environments. Cozies revolve around little violence, reason why it got its name. Settings for cozy e-books revolve around high society settings that result in the villain getting caught and punished in the end. What are Hard-boiled Detective Stories? Hard-boiled detective stories are another subgenre under Mystery books that encompass courageous detective plotlines which boasts street-smart detectives. This type of mystery novels are generally revolved around violence and corruption, a popular genre that many people download from Freebooks.com. Freebooks.com is an online bookstore that offers many mystery e-books all available as instant downloads for free for computers and e-readers.